It’s that time of the year again. 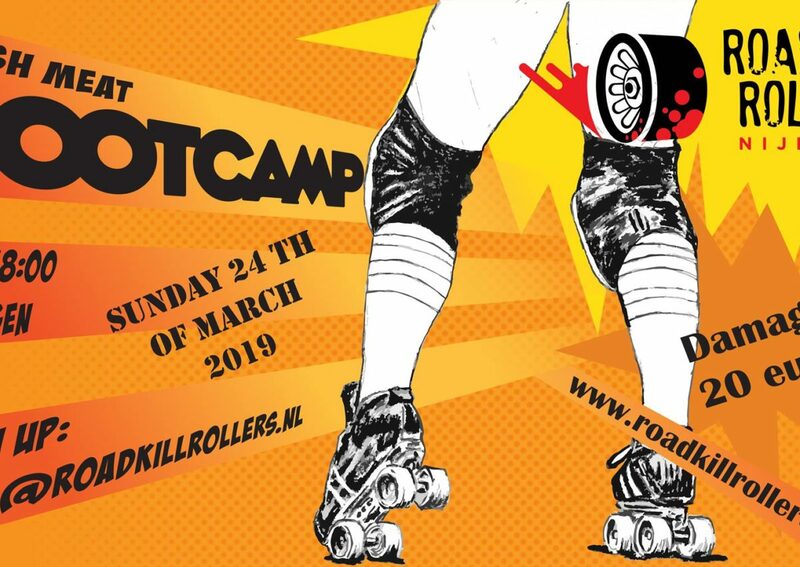 Roadkill Rollers Fresh Meat Bootcamp! After the success of last years edition we will organize another bootcamp. Just like last year we have booked 4 experienced trainers who will teach you the finest tricks to get you through that Minimal Skill Test. It will be a challenging, exciting but most of all fun day. During the break there will be drinks and (healthy) snacks. These are included with the admission price but make sure to bring bring some water and and maybe some extra food should you want or need it. But be quick because we only have 40 spots available. Next PostRoadkill Bingo – Everybody wins! Error: Error validating access token: Session has expired on Friday, 29-Mar-19 05:29:02 PDT. The current time is Sunday, 21-Apr-19 10:01:07 PDT.